The City of Port Phillip enjoys a drawcard location. Positioned between the Melbourne CBD and Port Phillip Bay the suburbs of St Kilda, South Melbourne, Port Melbourne, Albert Park, Middle Park, Elwood and Ripponlea are great destinations to visit. The City of Port Phillip is home to some of Victoria’s best know tourist attractions and is renowned for it’s unique atmosphere and diversity. 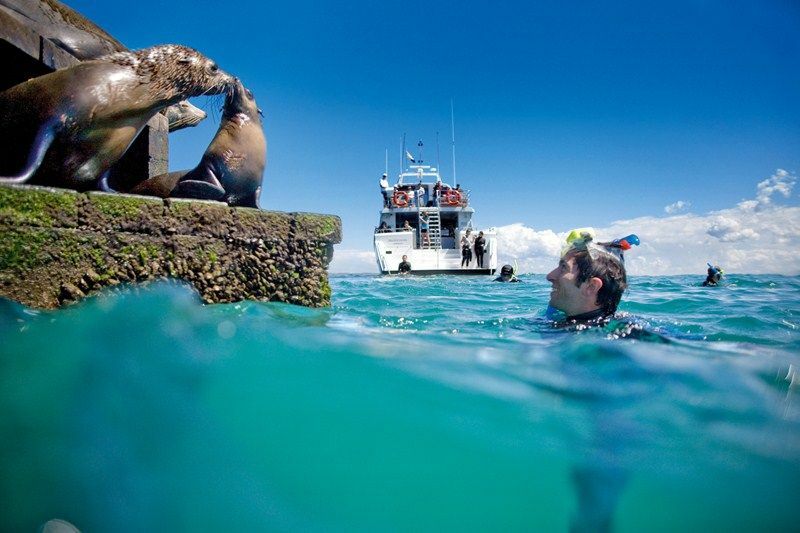 For those who like the outdoors enjoy the beautiful beaches which cover some 11.6 km of foreshore from Port Melbourne through St Kilda to Elwood, the 176 hectares of lush parks and gardens and international sporting facilities (Melbourne Sports & Aquatic Centre). Amble along St Kilda’s historic pier to visit the resident penguins and enjoy an ice-cream, or watch budding kiteboarders show off their style. For information about accessibility features on the foreshore, please visit the Foreshore Disability Access page. Once you have worked up an appetite select from a superb array of bars, cafes and restaurants offering cuisine from all corners of the world. Alternatively pick up a picnic of fresh produce from the South Melbourne Market, and head to one of the beautiful beaches or relax beneath the palms in the Catani Gardens. For great shopping, food, wine, fashion and entertainment take in the busy thoroughfares of Fitzroy and Acland streets in St Kilda, Ormond Road in Elwood, Bridport Street and Victoria Avenue in Albert Park, Mills and Armstrong Street in Middle Park, Clarendon Street, Park and Coventry Streets in South Melbourne and Beach and Bay Streets in Port Melbourne. Prepare to play in St Kilda, where you can kick up your heels by the seashore, along with live music or on the whirligigs at Luna Park. Join locals who walk, cycle and skate under the palms on the foreshore or sail, windsurf or kitesurf on the bay. 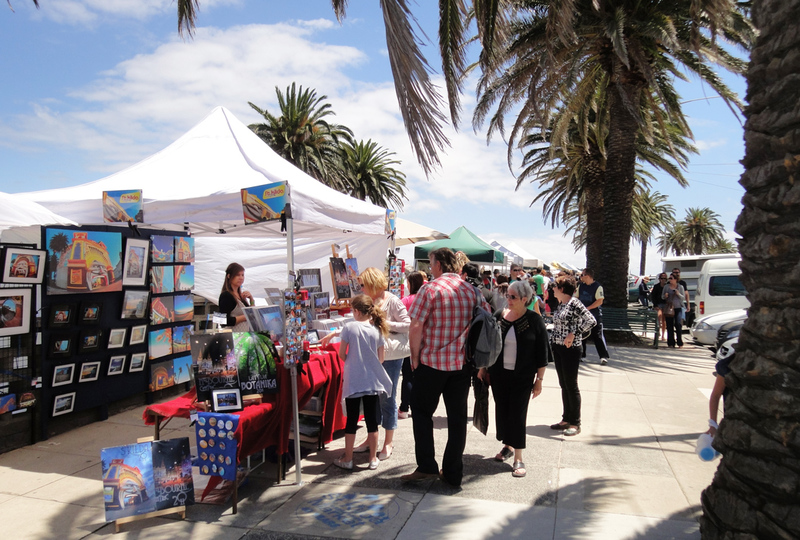 Keep an eye out for little penguins at the St Kilda Breakwater and visit the Sunday St Kilda Esplanade Arts and Craft Market. Return to the neighbourhood’s genteel resort days with a dip in the heated seawater spas and pools at the historic St Kilda Sea Baths. Enjoy fine dining at Donovans, Stokehouse and Circa, Asian flavours at Uncle and tasty Mexican at Radio Mexico. Catch live music at the Palais Theatre and the Prince Bandroom, and get a thrill on a ride at the iconic Luna Park. Choose the street to suit the mood. Fitzroy and Acland streets have cool cafes, restaurants and bars, fashion boutiques and independent music and book stores. Capture the independent spirit of Prahran. Journey down Chapel Street into a treasure-trove of vintage finds, eclectic eateries and boutiques. Prahran Market is Australia’s oldest food market and it’s a fabulous place to satisfy your food obsession. Fresh fruit and vegetables, fine cheeses and smallgoods, organic and free range meats, fresh seafood, spices and pantry staples, pastries and fresh flowers, are all here and waiting for you. Come to graze, fill your basket and swap recipes with local characters. Make a beeline for Greville Street, the spiritual hub of Prahran. While less kitsch than it once was the street retains a unique vibrancy thanks to a scattering of vintage stores, an independent record shop, edgy cafes, gallery spaces and outposts of local designers. Fossick through stalls packed with retro homewares, vintage clothes and collectables at Chapel Street Bazaar. Explore the area’s dining scene and you’re bound to find a place with your name on it. Siblings Tokyo Tina, Hanoi Hannah and BKK are the name of the game for contemporary Asian, along with Charlie Dumpling and Hawker Hall. Windsor is an inner suburb of Melbourne, Victoria, Australia, 5 km south-east of Melbourne’s Central Business District, located within the Cities of Port Phillip and Stonnington local government areas. Windsor is bounded by Dandenong Road, St Kilda Road, Williams Road and High Street. It is often incorrectly referred to as Prahran, Windsor’s northern neighbour. In the past, Windsor was within the City of Prahran’s boundaries and many institutions still refer to this. Windsor was named after Windsor, Berkshire. Known at first as Prahran South, its name was changed to Windsor in 1891. Although Stonnington’s smallest suburb, Windsor has its own bank, supermarket and historic pubs, along with a growing number of independent clothing stores, restaurants, bars, lounges and cafés. Windsor contains a diverse mix of housing, including medium density apartments, Victorian terrace housing and a high-rise public housing tower. The Prahran campus of Swinburne University used to be located just south of High Street in Windsor, but this is now Melbourne Polytechnic – Prahran Campus, although it is actually in Windsor. The National Institute of Circus Arts, officially opened by the former Australian Government Treasurer and Federal Member for Higgins, The Hon Peter Costello, is in Green Street Windsor. The suburb has many landmarks, including the historic Presentation Convent (now a secondary school), the Stonnington Primary School, old post office, Telstra exchange tower and a campus of Swinburne University. In recent times, the large Empire Cinemas, converted into a nightclub, was gutted by fire before eventually being demolished and replaced by high-rise apartments, also named the Empire.